The Coraline bag comes in two different versions, a larger clutch bag with a really unique handle, and a smaller wristlet. This is a step by step for the smaller wristlet version, prepared for us by Sarah of Living Lady Designs etsy store. She sells these wristlets in her store, so she has sewn them many times and describes perfectly and clearly how to sew one from start to finish, with all the details that a complete beginner might need. Here are some examples from her Etsy store for you to drool over and be inspired. Enjoy this video on how to get perfect results when you sew this wristlet. You can get the pattern from Swoon at the bottom of this article and then get to sewing a lot of great new bags for you, your friends, or even to sell. Please note – this video is not intended to replace the written instructions that come with the pattern and should be followed in conjunction with the original pattern instructions, of course. You can buy the Coraline Bag pattern, both versions in the same pattern, from Swoon Bags. 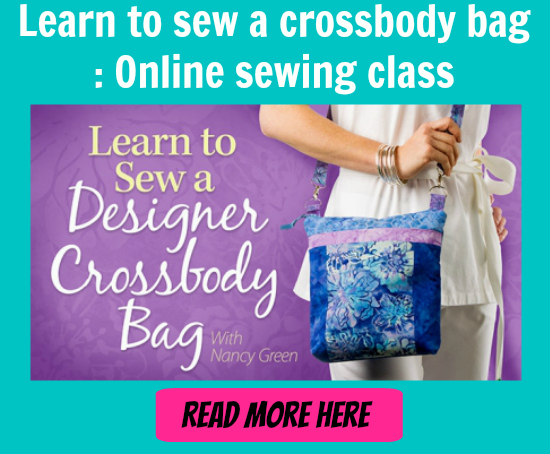 This is a great little bag to get started in sewing purses, so give it a try.